Microsoft wants to know if you really like Windows 10. In fact, it won't stop asking. Here's how to put an end to that. Microsoft’s Windows 10 is a great operating system, but it’s far from perfect. In fact, it has a few outright annoying features—the list of which varies by user. Lately, we’ve been hearing that one of those annoyances has been rearing its ugly head far too often: Windows Feedback. It’s great that Microsoft wants to hear directly from its users, but the operating system's begging prompts pop-up far too often. 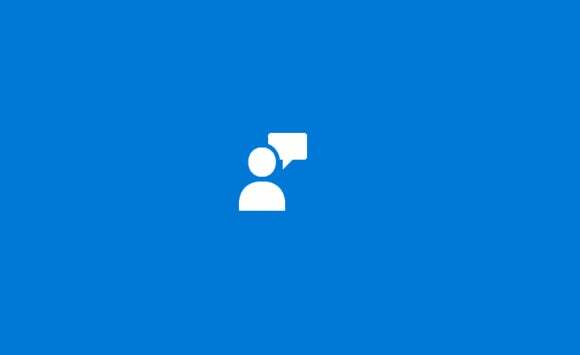 Besides, if you’ve really got something to say, Windows 10 has the built-in Windows Feedback app you can fire up any time to contribute your opinion. 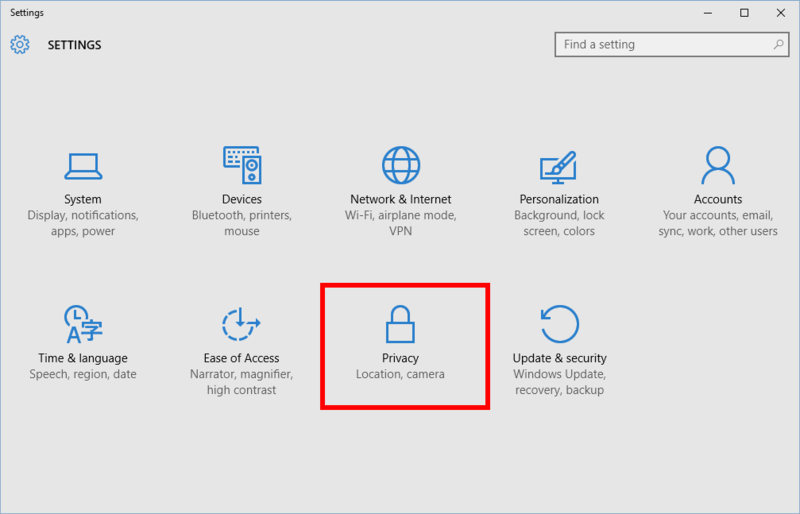 Here’s how to turn off Windows 10’s automated requests for feedback. Click Start > Settings to open the Settings app and click on Privacy. On the next screen, select Feedback & diagnostics from the left hand navigation pane. 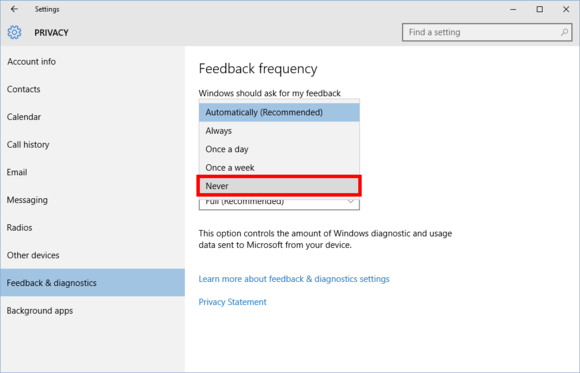 At the top of the Feedback and diagnostics window you’ll see the “Feedback frequency” heading, and a drop down menu beneath “Windows should ask for my feedback.” By default, the drop down says Automatically (Recommended), which is not what we want. Click the drop down and you’ll see a number of options—most importantly Never, which is right at the bottom. Select that, close the app, and you’re done with Microsoft’s feedback requests. This story, "How to get Windows 10 to stop asking you for feedback" was originally published by PCWorld.